It was 42-years ago last night that the Rev. Dr. Martin Luther King, Jr., was assassinated on the balcony of the Lorraine Motel in Memphis. I was only 7-years old at the time and a 2nd grader at Sacred Heart School in Effingham. I vaguely can recall watching an evening news bulletin about the assassination. I remember feeling sad and scared. 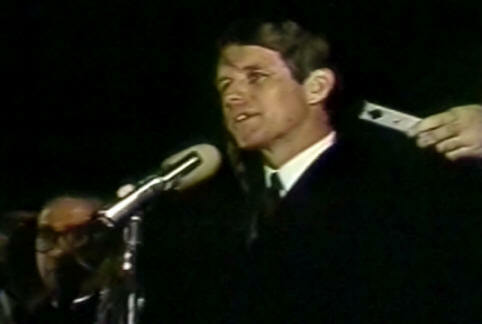 Sweet And Appropriate: Late on the evening of April 04, 1968, U.S. Sen. Robert F. Kennedy, then a presidential candidate, delivered a wonderfully eloquent impromptu address to political supporters in Indianapolis who had not yet received word of Dr. King’s death. What we need in the United States is not division; what we need in the United States is not hatred; what we need in the United States is not violence and lawlessness, but love, and wisdom, and compassion toward one another, and a feeling of justice toward those who still suffer within our country . . . .
Two months later, Senator Kennedy also fell victim to an assassin’s bullet in Los Angeles. But, Kennedy’s spirit lives on, counseling us to turn our backs on angry political rhetoric.